Plaintiff's attorney Jim Butler shows jurors a photograph of the fire that killed Remington Walden. Click here to see video from the trial. Atlanta - A Georgia appeals court has rejected Fiat Chrysler Automobiles NV’s bid to throw out $40 million in legal damages stemming from a Jeep Cherokee’s exploding fuel tank, that a jury determined caused the death of a 4-year-old boy. In an opinion released November 15, the Court of Appeals in Georgia ruled that a trial judge correctly determined the amount of damages against the automaker and should not have excluded certain arguments and evidence that Fiat Chrysler claimed motivated the jury to improperly punish the company. Jurors in Decatur County awarded $150 million in 2015 to the parents of Remington Walden in the first case to go to trial over allegedly defective rear-mounted fuel tanks in older model Jeep Cherokees. Judge Kevin Chason later reduced the amount while also denying a motion by Fiat Chrysler seeking a new trial. The full trial was recorded gavel-to-gavel by Courtroom View Network. Fiat Chrysler is reportedly considering a possible appeal to the Georgia Supreme Court. Walden died in 2012 after a pickup truck rear-ended his family’s 1999 Jeep Grand Cherokee. Walden survived the collision, but the tank leaked fuel which sparked a fire that quickly engulfed the vehicle while Walden remained strapped into his child seat. His parents’ attorneys claimed Fiat Chrysler knew the rear-mounted tanks on many of its Jeep models posed a fire risk but failed to carry out a recall. Fiat Chrysler maintained the Walden’s Jeep met all applicable federal safety standards, and that a non-defective fuel tank can explode if impacted at a high rate of speed. In their motion before the appellate court, Fiat Chrysler argued that jurors should not have heard arguments related to CEO Sergio Marchionne’s compensation, or that he should serve prison time instead of the driver who hit the Walden’s Jeep. The company also suggested that the jury sought to punish them with its verdict, and that the panel’s decision was the product of “passion and prejudice” and not a desire to properly compensate the Walden family for the loss of their son. The jury’s original verdict consisted of $120 million for Remington’s death and $30 million for his pain and suffering, which Fiat Chrysler characterized as punitive damages that the jury shouldn’t have been allowed to award. The appeals court disagreed, finding that Walden could have grown up to be anything in life, from a firefighter to “a CEO with unlimited earning potential,” and that he endured extreme pain in the fire. 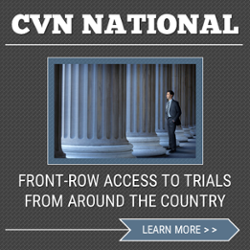 For access to gavel-to-gavel video of the trial, along with hundreds of civil jury trials from throughout Georgia and the rest of the United States, become a subscriber to CVN’s one-of-a-kind online video archive for as low as $99/month. Chrysler is represented by Terry O. Brantley, Alicia A. Timm, M. Diane Owens and Bradley S. Wolff of Swift Currie, and Thomas Dupree Jr. and Rajiv Mohan of Gibson Dunn. The Waldens are represented by Karsten Bicknese and Robert H. Betts of Seacrest, Karesh, Tate & Bicknese LLP, James Butler Jr. and James E. Butler III of Butler Wooten & Peak LLP, and L. Catharine Cox and George C. Floyd. The case is Chrysler Group LLC v. Walden et al., case number A16A1285, in the Court of Appeals for the State of Georgia.